What should I be thinking of… if not seafood? We ordered steamed clams. You know how clams open up when they’re cooked? Well…there was this one stubborn clam that did not open up. Viriya: Knock knock! Open up! Viriya: Everybody else has opened, why are you being so stubborn? Viriya: Why won’t you open up? Viriya: everyone of your friend has opened. You should follow them. Clam: Why do I have to do the same as they did? We are all different clams and we have the right to decide what to do. They decided to open up and be eaten; I have decided to stay shut. Viriya: But isn’t it better to do things in groups? Difficult things become easier like that. Clam: and whose philosophy is that? Viriya: …I don’t know. Just, in general, things become easier when you do them in groups. Clam: What if I think what they’re doing is wrong? Does that make it easier for me to join them still? Viriya: Do you think what they are doing is wrong? Clam: Yes, I think it’s better for clams to stay shut. But that is just my opinion. Viriya: So why didn’t you tell the other clams to stay shut as well? Clam: You think I haven’t tried? I’ve tried many times since we were still under the sea. Viriya: Why didn’t they listen to you? Clam: Maybe because I’m a weird clam. No one listens to the weird clam. Viriya: aww…you’re not weird. I don’t find you weird at all. Clam: Thank you. But you don’t need to comfort me. I know what I am. Viriya: So how come you ended up here with them all if you don’t get along? Clam: They decided to come together in groups. I was just among them…when the fishermen came, they took us all together. It wasn’t my choice. Viriya: So the other clam forced you to come with them? Clam: They didn’t ‘force’ me to come with them exactly. But they ‘all’ decided to come together…and my opinion was obsolete then. They ‘forced’ me without physically forcing me. Am I confusing you? Viriya: I still don’t understand why you had to follow them here…You can just choose to be left out. 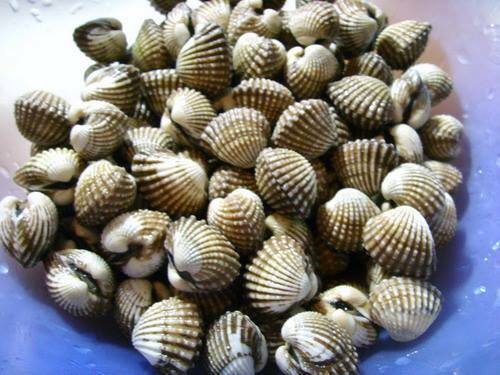 Clam: I was in a community of clams. Once you’re in it…it’s difficult to be left out even when you want to. Some decisions cannot be made individually. Viriya: BUT ALL decisions can be made individually…. Clam: Well…that wasn’t the case for me. Viriya: You should have spoken to your community about your opinions. If you did…the clams might not end up here on the plate waiting to be eaten one-by-one like this. Viriya: and what good did that do to you? You are still here on the plate with them. Clam: But I’m alive, am I not? By being shut…I’ve survived! Viriya: not for very long though. Clam: So you are going to eat me after having this long conversation with me? How can you? Viriya: Even if I don’t eat you, you will die nonetheless… You’re no longer under the sea where you belong. It’s only a matter of time now. Viriya: How can I save you? It’s too late. You should have saved yourself, and perhaps your friends too, before the fishermen came. You should have made yourself heard. Clam: My voice wasn’t strong enough. How can anyone hear me when they were all shouting in unison about getting into the net to find new adventures? It wasn’t my fault Viriya. Viriya: Did you try to find other clams who might think like you? Clam: You can put me back into the sea Viriya. That way…I will not die. I will survive. Viriya: I’m sorry. But I don’t want to give you false hope. Clam: but I may be better off alone. I think clams are meant to be alone anyway. That’s why we have shells. Viriya: Can you really be alone? Clam: Can you humans be alone? Viriya: I don’t think we can be alone for a very long period of time. Humans are social animals. We socialise, we have friends. Clam: What do humans do when you socialise? Viriya: well…we speak to each other. We communicate. Clam: Where do people find so many words from? It’s not so easy for clams to communicate with words. We don’t know so many of them. We speak only of the words we know…and the words we know are always somebody else’s words. Viriya: What’s wrong with speaking with somebody else’s words? Clam: they are not mine! Viriya: Well…if other people’s words are nice, useful words…then I have no problem speaking them. Viriya: Do you not think at all that there may be other people who think like you? Who may speak words similar to what you have in your mind? Clam: I’m not sure… I can’t really know who they are since I’ve been shut most of the time. Viriya: that’s the down side of being shut. Clam: It kept me alive. Viriya: Does living still appeal to you? Everyone else is dead. Why live? Clam: Will you put me back into the sea? Viriya: If you ask me to, yes. Clam: then living still appeals to me. Viriya: Why? What will living give to you?